No new episodes of MacGyver at the moment. The Production Office re-opened on June 4, so filming for Season 3 should start soon. Season 2 also scored some nominations! Many of the cast and crew enjoyed some downtime before the Production Office re-opened two weeks ago. Lucas Till spent some time in LA (e.g. to attend the 10-year-anniversary-screening for zombie comedy Dance of the Dead on May 23 or to visit one of Justin Hires’ stand-up-comedy-shows). 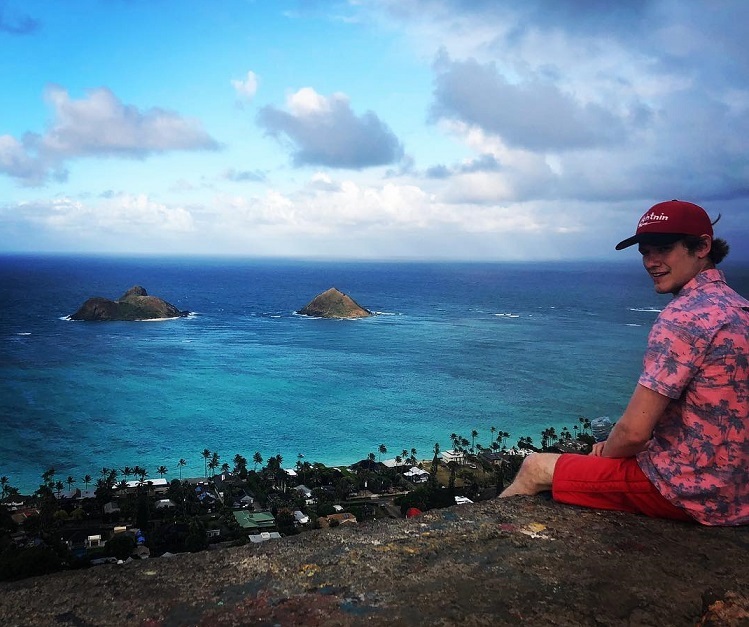 Last week, he enjoyed a short holiday on Hawaii with his family and his friend, roommate and co-worker Mike Milligan. For once, Lucas was quite active on Instagram. 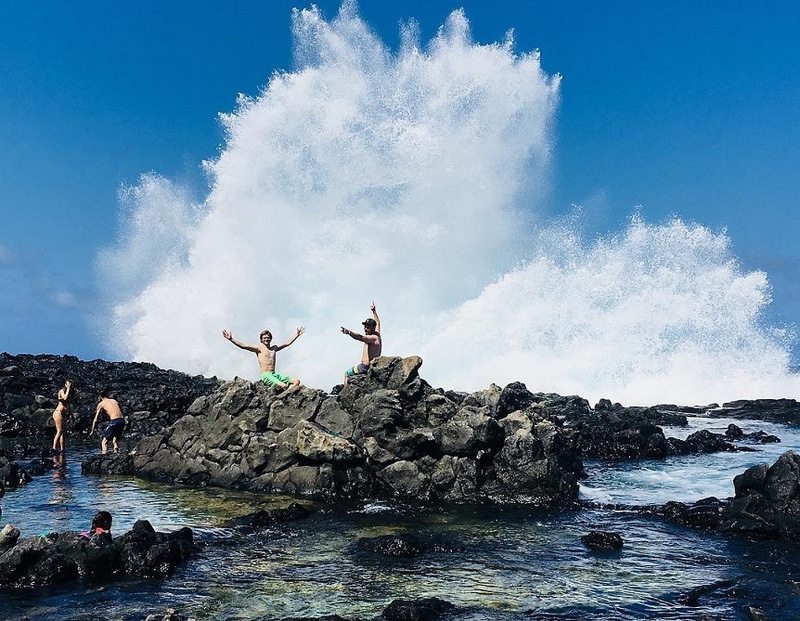 He also posed with fans in Hawaii; e.g. at the local Target and in front of a restaurant. 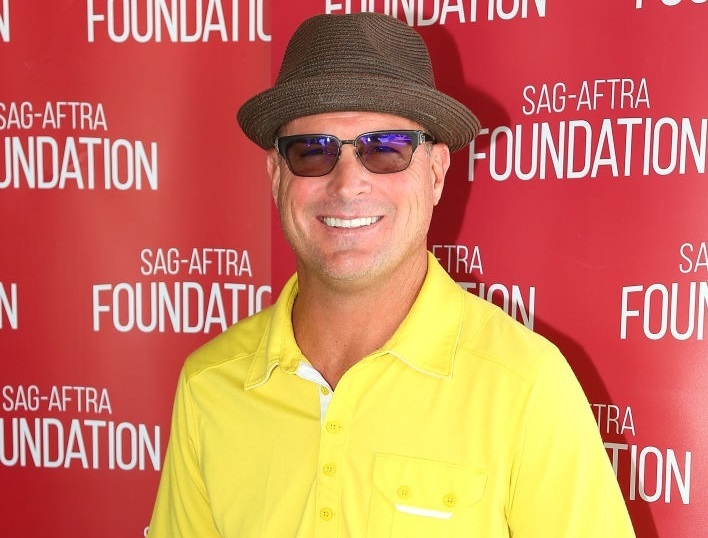 George Eads did not only enjoy some holidays on the Bahamas with his family, but also played some Golf. On June 11, he joined the LA Golf Classic, an annual fundraiser organized by the SAG-AFTRA Foundation. Fun note: Original Jack Dalton (Bruce McGill) was one of the members of the host committee this year – alongside Carlos Bernard who had directed Reboot Episode 2×11 (Bullet + Pen), the episode Bruce McGill guest-starred in. Tristin got to celebrate her birthday with friends. 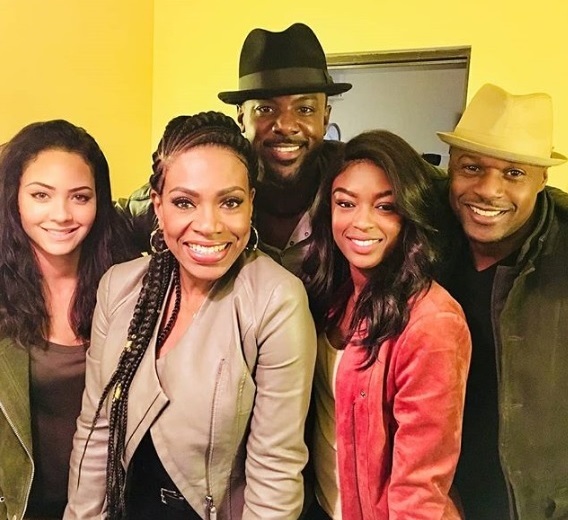 Both Reign Edwards (who plays Bozer’s girlfriend Leanna in the Reboot) and Javicia Leslie (aka Jesse Colton) were in the crowd. 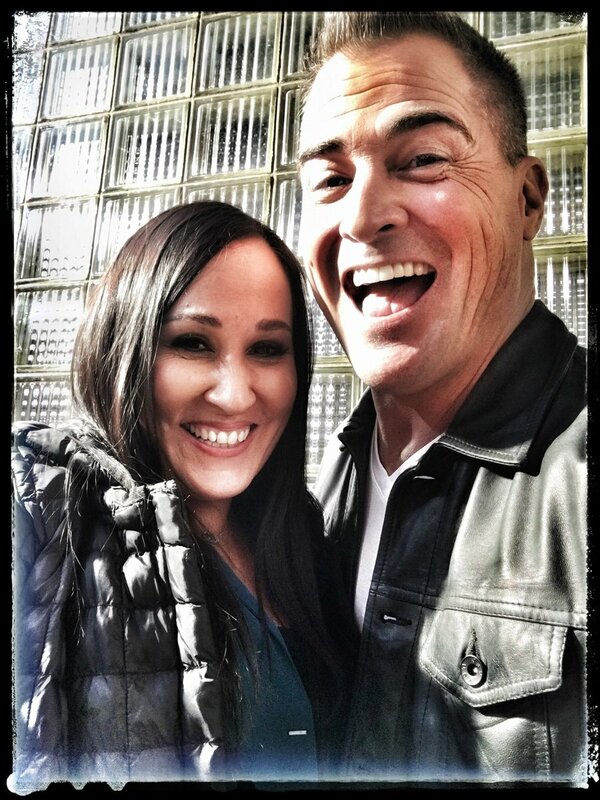 For congratulating, Meredith Eaton posted a new BtS photo of her with Tristin taken while working on Episode 2×12 (Mac + Jack). Executive Producer Peter Lenkov’s long-time dream project Magnum has been ordered to series by CBS; meaning that at the moment, he’s busy with four shows in total. 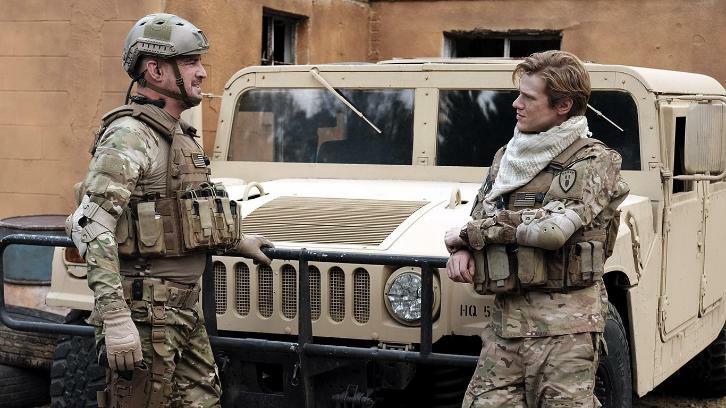 Three of them (MacGyver, Hawaii Five-0, Magnum) will premiere this Fall while the 2nd season of Salvation will premiere June 25. He therefore spends a lot of time on the Paramount Studio lot, presumably working on finalizing the scripts. Due to Celebrity Undercover Boss, there are no Reboot re-runs at the moment – contrary to pretty much all the other action and drama shows in the CBS line-up. More episodes for Celebrity Undercover Boss (CUB) are scheduled for Fridays 8pm until July 13. There’s a good chance there will be some Reboot Re-Runs after the Finale of CUB since the show has 10 episodes. Last year, both Lucas Till and Peter Lenkov had attended the Monte Carlo Television Festival. It’s maybe a bit ironic that this year, the Reboot got nominated for an International TV Audience Award within the category “Action & Science-Fiction TV Series”, alongside Scorpion (CBS) and Prison Break. The winner will be announced on Tuesday, June 19. 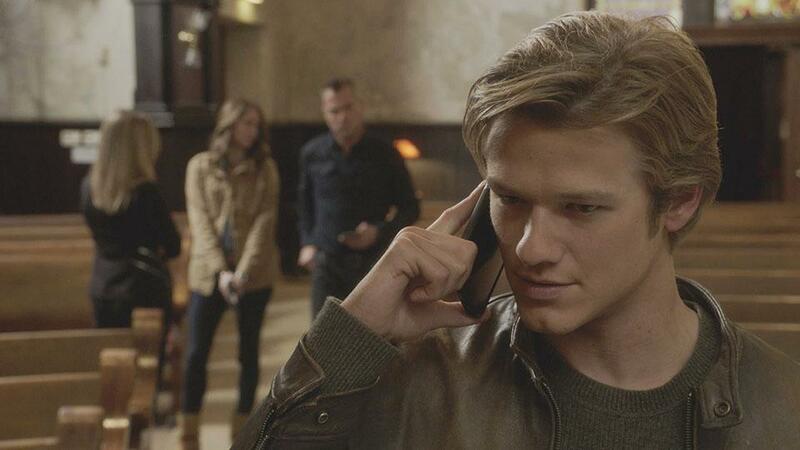 Also, the many tweets helped Lucas Till to score a nomination for the Teen Choice Awards in the category “Choice Action TV Actor”. The first voting period ends on June 19, so if you’re eligible to vote (check the rules in here), keep on voting by using Twitter or checking into the TeenChoice voting site! Stunt Coordinator Jeff Wolfe again had handed in a Stunt Reel for the Emmy Awards. Voting is only possible if you are an Emmy member, though – but if you’re eligible to vote for the Emmys, you can do so until June 25. The nominations will be announced mid-July. I’m not sure how good the chances are, considering the show was already nominated last year. But let’s hope the Reboot scores another nomination or even a win! 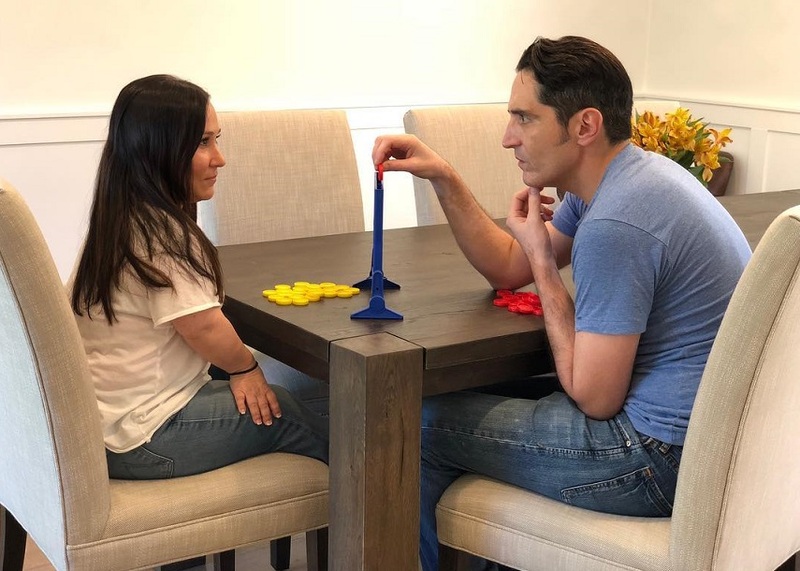 Meredith Eaton was interviewed for the Emmy Magazine, talking about being a short-statured actress and embracing her difference. On June 11, she posted a photo of her with David Dastmalchian, plotting strategies. It’s not clear yet if this was part of a photoshoot, for Bonus Material for the Season 2 DVD or just a fun snapshot of them passing time on set. The Production Office re-opened on June 4, so filming for Season 3 should start soon. Sadly, there’s no news at all so far. The Premiere Date still hasn’t been set yet, but it’s reasonable to guess it’s either September 21 or September 28. Unless we hear otherwise, I’m assuming it will be a direct Full Season Order of 22 episodes. Since the production office is open, the official social media accounts are bit more active; e.g. tweeting about the “Happy Best Friends Day” on June 8 or reminding fans that they can re-watch the episodes online. David Dastmalchian auctioned off a set visit with “Murdoc” for a good cause, so I reckon it’s possible that Murdoc will appear very early in Season 3. 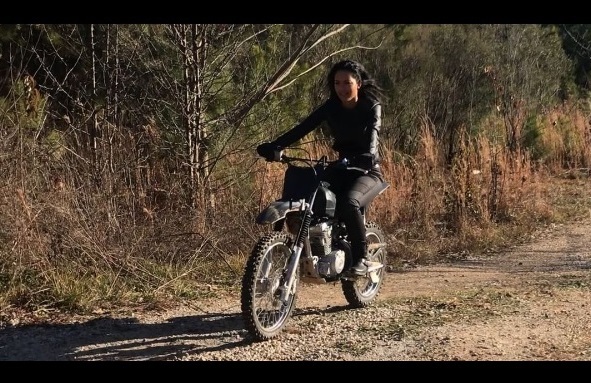 The set visit entails lunch with MacGyver, Murdoc and the cast that is working that day; also a tour of the production stages and the sets with a demonstration of a “MacGyver” moment with stunts and/or props. The auction made 12’000 US Dollars for charity, so kudos to whoever bid on this. German FreeTV channel Sat.1 will premiere two episodes of Season 2 on Mondays 8pm, starting July 9. Swiss FreeTV channel 3+ decided to start 5 days earlier, airing two episodes on Wednesdays 9pm, starting July 4. Funny thing: German distributor Paramount/Universal Pictures must have had a typo in their press release since all websites have a character named “Frank Dalton” in the DVD description. They have changed the name to Jack now, but it will be interesting too see what name will be written down on the back-cover. If you missed Part 1 (Episodes 2×01 to 2×05), you can find the post here. For Part 2 (Episodes 2×06 to 2×10), you go there. For this episode, the Official Stills came in waves. There was a Press Release about Bruce McGill joining as a guest-star along with a first Still, roughly a month before the rest of the Stills was released via SpoilerTV. In between, there was another Still with Mac and Jack dressed as Santa. 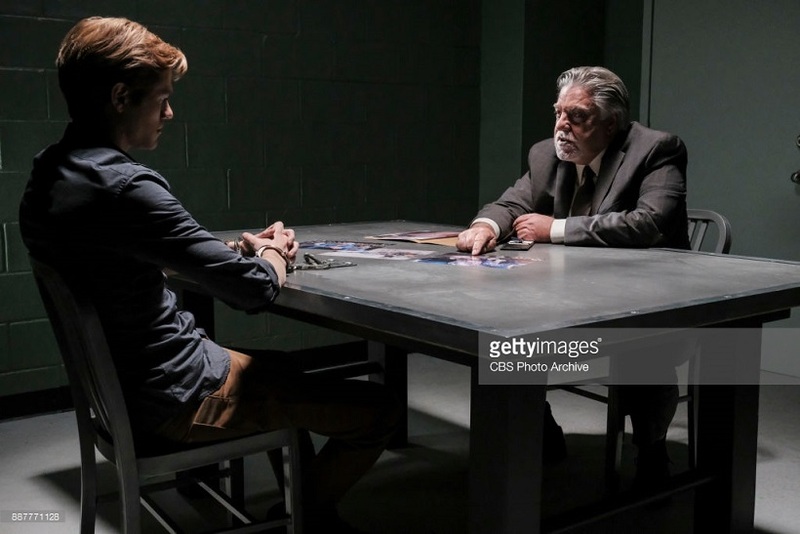 Getty Images later released two more stills of the interrogation scene with Lucas Till and Bruce McGill. MY FAVORITE: It has to be one with Bruce McGill, of course. This was my favorite scene of the episode. The Runner-Up is the Santa Still on top, because you can’t see this photo without also wondering what shenanigans Mac and Jack are up to in this episode. NOW THAT’S DISAPPOINTING: Great Stills to choose from. Sadly, my favorite Still was only published on Getty Images and is not available in good quality without the watermark – at least not for free. For this episode we got 8 Stills via SpoilerTV. All of them feature Mac and Jack in their flashback of Afghanistan. MY FAVORITE: It’s Mac + Swiss Army Knife! NOW THAT’S DISAPPOINTING: Several great Stills to choose from. Despite Mac + Jack being the center, it’s still a team havy episode, so I wonder: Was the rest of the cast disappointed that all Stills featured Mac and Jack and no one else? For Episode 2×13, SpoilerTV delivered 5 Official Stills. MY FAVORITE: Despite not much action going on, this Still promises something exciting happening around them. And it’s always nice if the guest star is featured in the Official Stills as well. NOW THAT’S DISAPPOINTING: A Still with Jack at his High School Reunion to choose from would have been fun as well. We got 7 Stills for this Episode. All are taken from the same location, 6 of them feature Amy Smart as Dawn. MY FAVORITE: Amy and Jack in what looks like a potentially dangerous situation. NOW THAT’S DISAPPOINTING: No disappointement here, just curiosity. The colors look a bit different and some of the Stills look almost blurry. 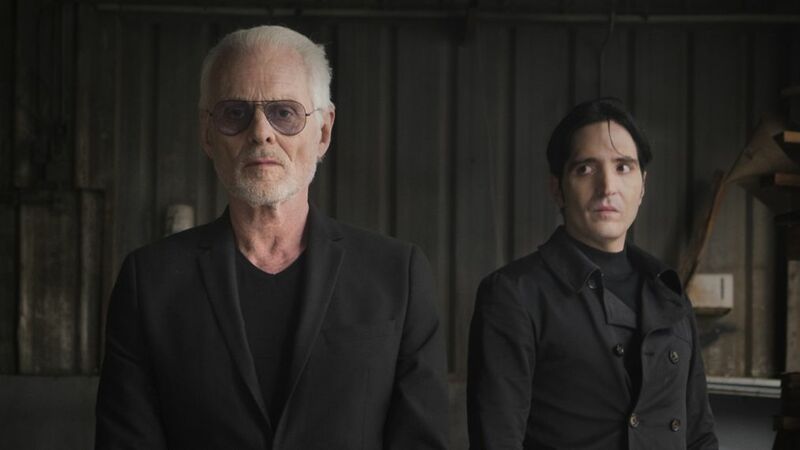 For this episode, we got a first Still with the Press Release about Michael Des Barres being a Guest Star. They later released 4 additional Stills. Interestingly, this first Still never really came to fruition in the episode itself. Was it staged just for Promo or was the location part of a Deleted Scene? MY FAVORITE: The one with Michael Des Barres, of course. TV Insider provided the First Look, but MDB later uploaded the full version of the photo. NOW THAT’S DISAPPOINTING: In my opinion, the BtS pictures for this episode were better than the Official Stills. Christmas Hiatus is over: Filming continued this week. Today is the premiere of Episode 2×12 which means we’ll get to see how Mac and Jack met each other! 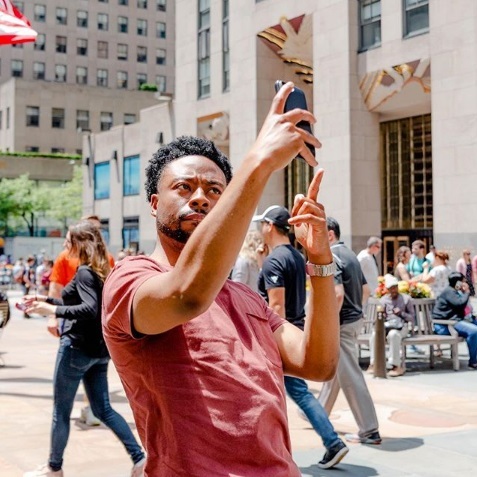 Although production was on hiatus for almost two weeks, Justin Hires provided many new BtS pictures via Instagram. Sadly, it’s not always possible to determine which episode they’re from since he didn’t give much hints and didn’t post in a certain order. Some were pictures of Team Phoenix in the War Room, featuring the famous paperclip bowl that will make a comeback soon. Others revealed that Jack might hurt his arm again. 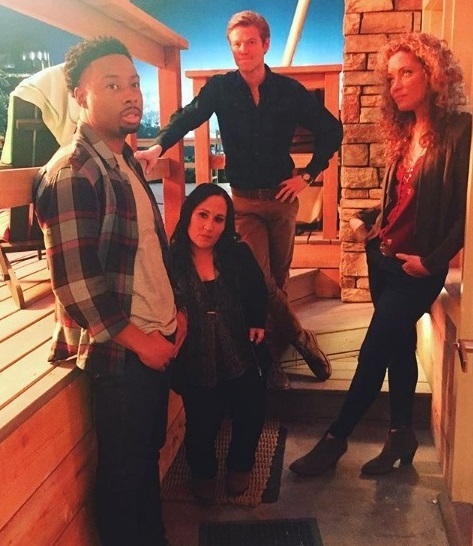 There’s one of Riley and Bozer in what looks like some sort of competition in a wine cellar, one with Riley, Matty and Bozer doing computer stuff, one that includes Michaele Michele (as Riley’s mother) and one of Bozer, Mac and Leanna staging some kind of escape. 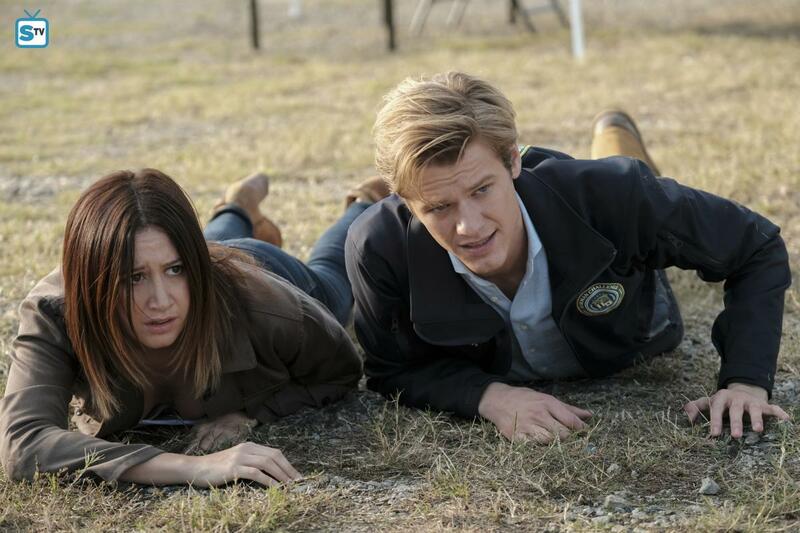 Meredith Eaton posted a new BtS picture with her and Lucas Till on Wednesday, presumably from tonight’s episode. While Justin announced he was flying back to Atlanta on Wednesday, some of the crew members had hinted at being back in the studio a bit earlier. Since many cast and crew members spent some vacation days in the sun, they weren’t too happy to be back in cold Atlanta. 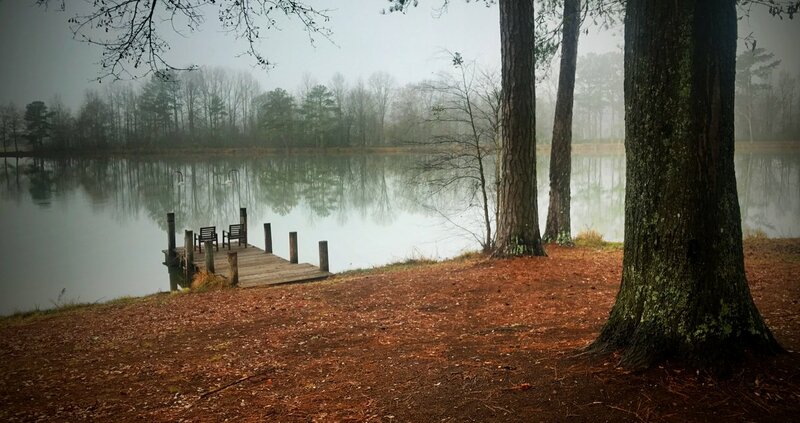 Filming resumed officially yesterday (January 5). This meant new BtS pictures and videos from the first day on set, but also new information about airdates and storylines, new Stills and Sneak Peeks. 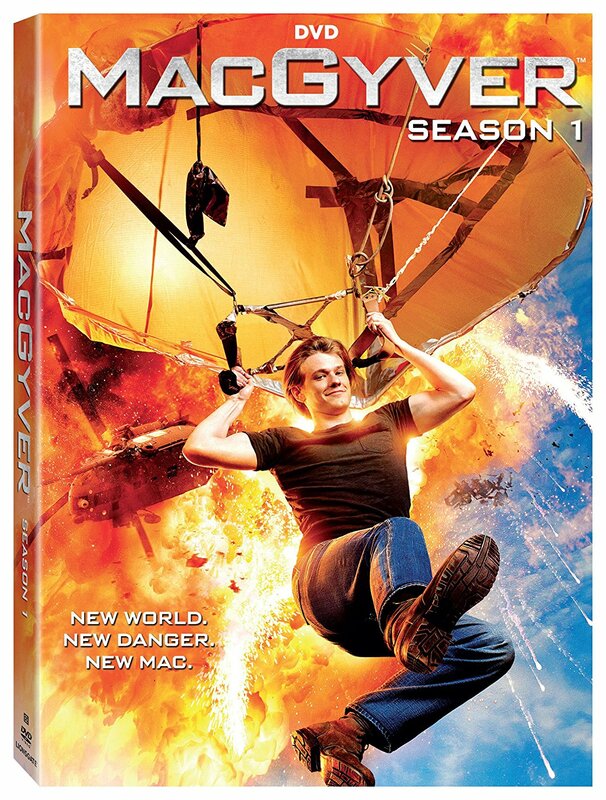 It’s a bit of a MacGyver Reboot galore; especially since the Reboot premieres in France today. Lucas Till posted a BtS picture of Riley and Jack, ready to take the sound guy out. Lucas’ Stand-In Matthew Albright revealed how many layers he’s wearing because of the cold. Apparently, they’ve been filming in “Russia” today. Cornell Willis uploaded an Instagram Story of Lucas memorizing his lines. There are Casting Calls for tomorrow, so it looks like after the well-earned vacation, there’s not much of a weekend this time. On January 2, we got a short Preview for today’s Episode 2×12 (Mac + Jack), teasing that the audience will finally get to know how the bromance began. Yesterday, we got 3 Sneak Peeks. Interestingly, they revealed Cage’s fate already a few seconds within the first Sneak Peek (during a “car-versation” between Mac and Jack). Additionally, we got a peek at the unexpected gift Mac hadn’t managed to open yet in the last episode and also a glimpse at MacGyver’s room. 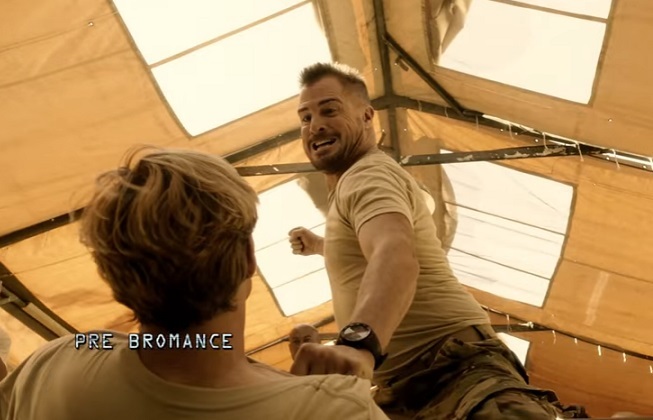 In another Sneak Peek via TV Line today, we got to see the entire sequence of how Mac and Jack meet – and the fight that occured “pre-bromance”. We had already gotten the first Still with the Press Release for next week’s Episode 2×13 (CO2 Sensor + Tree Branch) on December 21. As a late Christmas gift, they added more Stills on December 26. 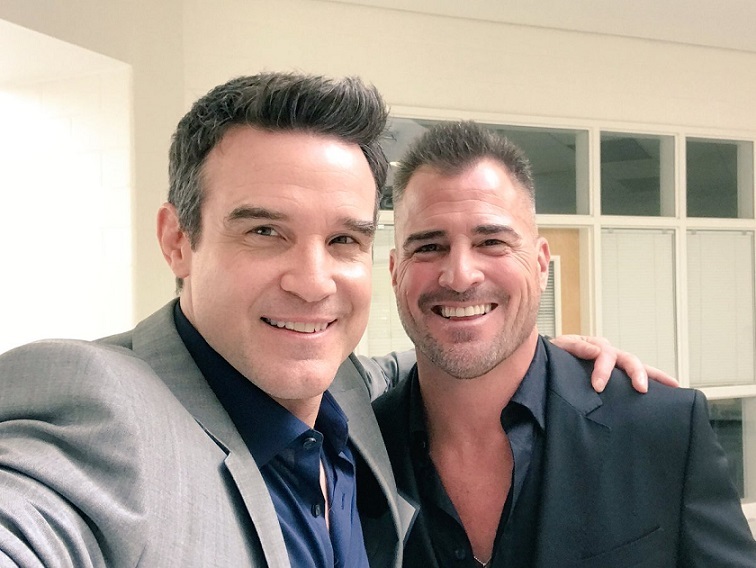 Sadly, there’s no glimpse yet of Jack at his High School Reunion, but there are BtS pictures by Eddie McClintock with George Eads from November when they filmed at a local school. In general, fans are lucky: Episode 2×14 (Mardi Gras Beads + Chair) will air on January 19, which means we’ll get 3 episodes in a row. On January 26, there will be a Rerun of Episode 1×17 (Ruler). We also got some “inside scoop” via TV Line on January 2nd: As Executive Producer Peter Lenkov revealed, Mac gets closer to finding his father in the back half of Season 2 (no surprise there), while Jack discovers he has a wife that he’s never met (yep, that’s quite a surprise but fits Jack pretty well in my opinion). The storyline about Jack’s wife fits with Episode 2×14: The Press Release including a first Still were revealed yesterday. In case you missed it: US fans finally got a date for the DVD Release (February 27). There is no new information yet about any Extras, but the content will probably be the same as in the versions sold in the UK or Australia. The newest issue of TV Guide Magazine has an article with BtS pictures and soundbites of Lucas Till. The Season 1 Rerun Ratings are pretty stable: On average, every repeated episode pulled in 4.12 million live viewers per episode with a rating of 0.57 in the desired demo group (18-49 years). The Rerun of Episode 1×12 (Screwdriver) at 9pm managed 4.11 million live viewers and a demo rating of 0.5. Initially, there had also a Rerun for Episode 1×17 (Ruler) been scheduled at 8pm, but they changed the schedule just a day before, airing an episode of 48 Hours instead. They re-scheduled the rerun for Friday, January 26. 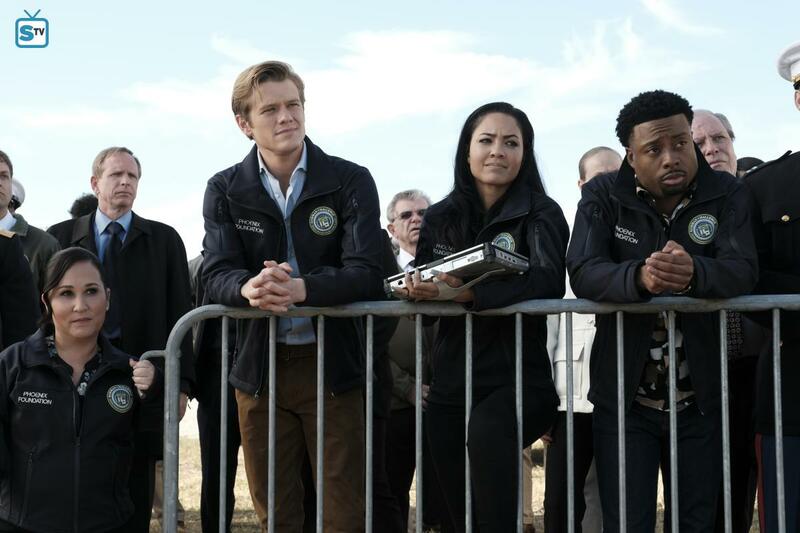 Although we haven’t seen him yet in any of the Stills or the Sneak Peeks, Emerson Brooks as EOD-Specialist Charlie Robinson will be back in Episode 2×12 (Mac + Jack) tonight. As mentioned before, the character of Charlie didn’t fare that well in the Original Show, so let’s hope he survives for another Reboot Episode. 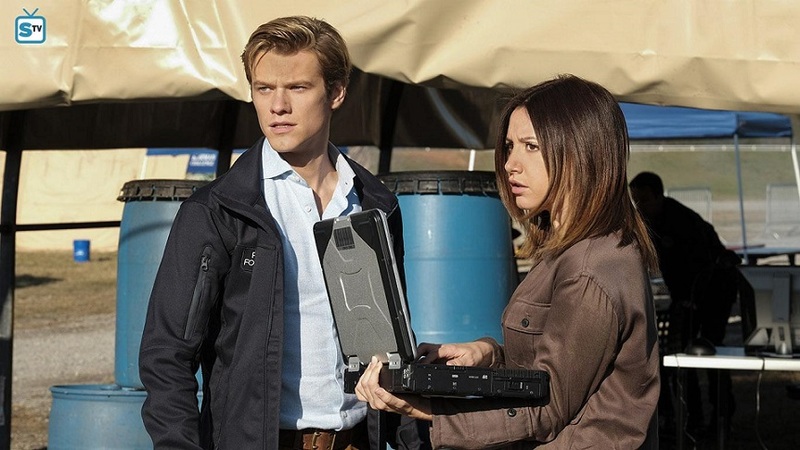 Other upcoming guest-stars are Ashley Tisdale as Allie, a CIA-Operative and a former fling of MacGyver in next week’s Episode 2×13 (CO2 Sensor + Tree Branch) and Garrett Morris as the proprietor of “Willy’s House of Voodoo” and one of Jack’s former CIA informants in Episode 2×14 (Mardi Gras Beads + Chair). 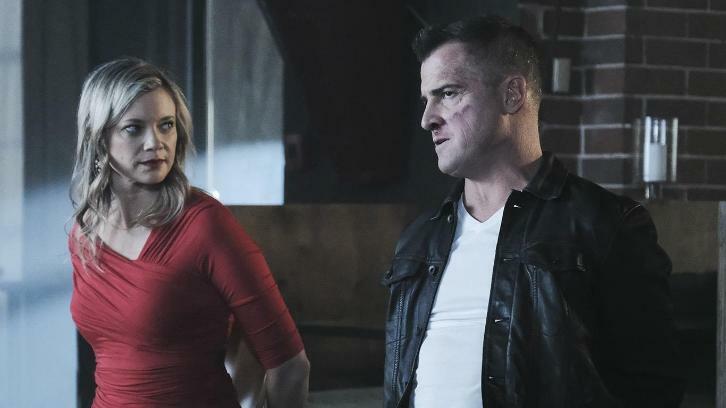 Riley’s parents (played by Michael Michele and Billy Baldwin) will also make another appearance, though it’s still not clear yet if they’re showing up in the same episode. According to IMDb, Episode 2×15 is called Murdock (sic!) + Handcuffs. 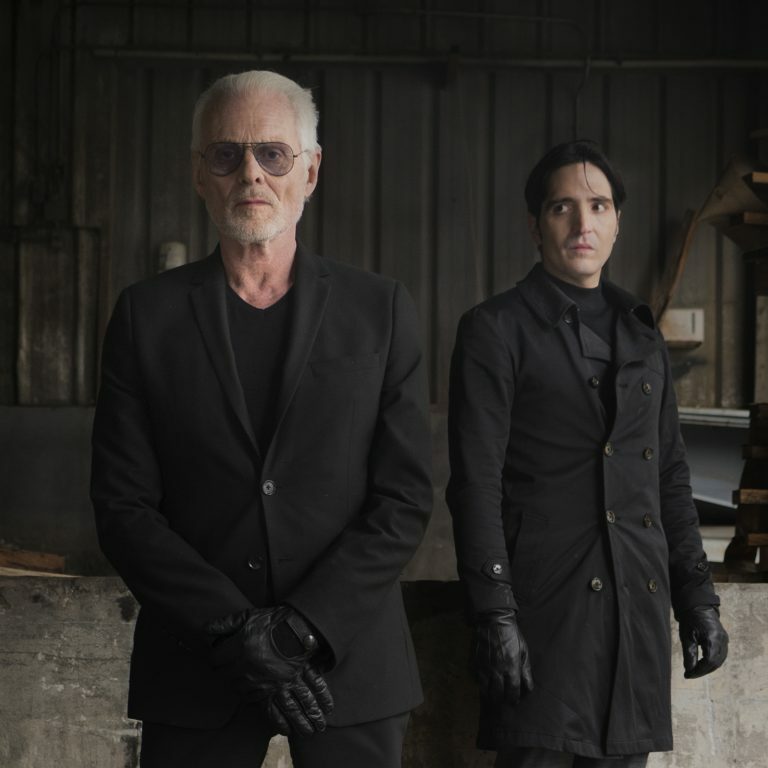 There’s a good chance that besides David Dastmalchian as Murdoc and Brady Bond (as Murdoc’s son Cassian), Original Murdoc Michael Des Barres will show up as well. There hasn’t been an official confirmation yet. 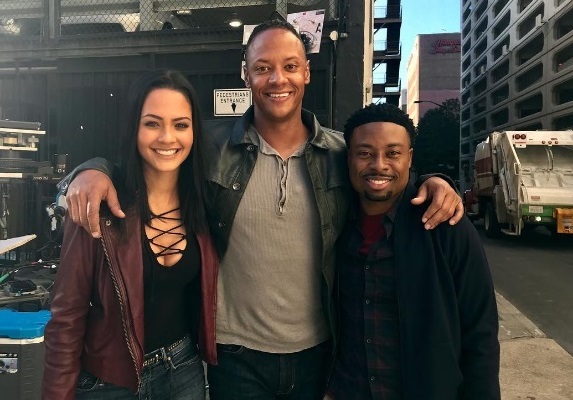 Reign Edwards will be back as Bozer’s love interest Leanna (presumably in Episode 2×16), helping with an undercover mission by posing as MacGyver’s wife. As mentioned in my last Update, a look at the cast-list for Episode 2×18 on IMDb reveals that at least one of the Coltons (Javicia Leslie as Jesse Colton) will be back. 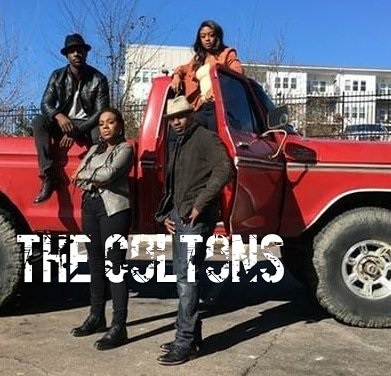 The Colton Brothers (Lance Gross and Jermaine Rivers) are both attached to other shows (Star and The Gifted at the moment), but since these shows are filming in Atlanta as well and The Gifted actually might have already wrapped its first Season, it shouldn’t be too difficult for them to join for another adventure of the Colton siblings. As always, it’s not just about guest-stars. Due to the Christmas Hiatus, there weren’t many Casting Calls yet. Central Casting Georgia has been looking for Agents and Lab Techs. Additionally, they needed Teenage Skater Boys and Armed Men. The first 3 episodes of the Reboot premiered on French channel M6 tonight. Although the French version of Season 1 has already aired in the French-speaking region of Switzerland half a year ago, fans in France hadn’t been able to watch it yet. There’s lots of articles with short interviews posted online this week, but they’ve all been done back in Monte Carlo last summer; so the soundbites are not really new to us. I’m not sure if I’ve seen this portrait before, though. Must be another version of the portraits series they had done back in early Summer 2016. Original MacGyver Richard Dean Anderson is a well-beloved guest at conventions in France and the country is well-known for having avid RDA fans, so there was already a lot of negative chatter about the Reboot on social media today. So far, the Reboot trended on Twitter in every European country during the premiere, so there was no doubt it would be any different today. And as predicted, #MacGyver started trending even before the first Episode begun and is still trending now that the 3rd episode has finished. Episode 1×15 (Magnifying Glass) had managed to pull in 73’000 viewers, so quite a bit more than Episode 1×14 (Fish Scaler, 60’000). Since the episodes are not aired weekly anymore due to the interfering Winter Sports Events, it’s probably gotten a bit more difficult for viewers to catch the show. On December 30, the Austrian channel ORF1 should have aired the German-speaking premiere of Episode 1×16 (Hook). Because the Winter Sports Event had taken overtime, they rescheduled and aired an Episode of The Big Bang Theory instead. This must have been the 3rd time Austrian (and Swiss) viewers didn’t get to see this Episode as initially scheduled. Looks like the Coltons prefer their solitude. Production of the Reboot is on Christmas Break. The next episode airs in January, but you can catch some reruns next week. Also, there’s finally a DVD release date for the US fans! On December 4, production had moved to the Pullman Rail Yard and the Southeastern Railway Museum. A few days later, they filmed scenes with David Dastmalchian as Murdoc, presumably for Episode 2×15. The story seems to be set in Colorado, so the heavy snowfall was not unwelcome. (If you missed it, you can find more information in my last Update No. 45). Last week, production set up at the Chateau Elan Winery. In Instagram Live Stories, Justin Hires revealed that there’s a dress code to follow for both the girls and the boys. As Meredith Eaton revealed, it’s directed by Eagle Egilsson (who also directed Episode 1×14: Fish Scaler). 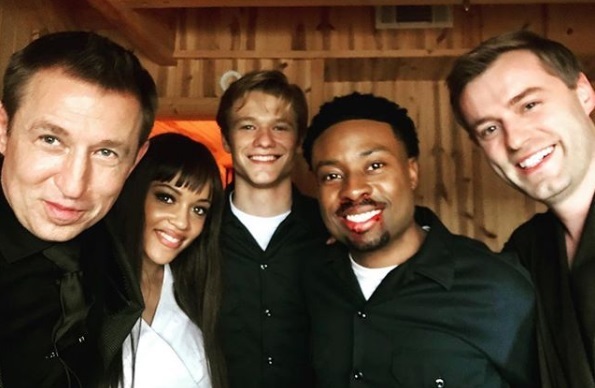 Camera Operator Mark Emery Moore shared a video of Lucas Till and Tristin Mays filming in the woods at night. The next day, Lucas shared a picture of him with Moore for “Tuesday Crewsday”; stating that when compairing their pants, Moore would win. There has been some chatter because in the picture, you can spot Lucas wearing what looks like a wedding ring. Many fans have been asking if Lucas got married for real, but as expected, it was just false alarm: Justin Hires has also been wearing a ring in his recent videos. 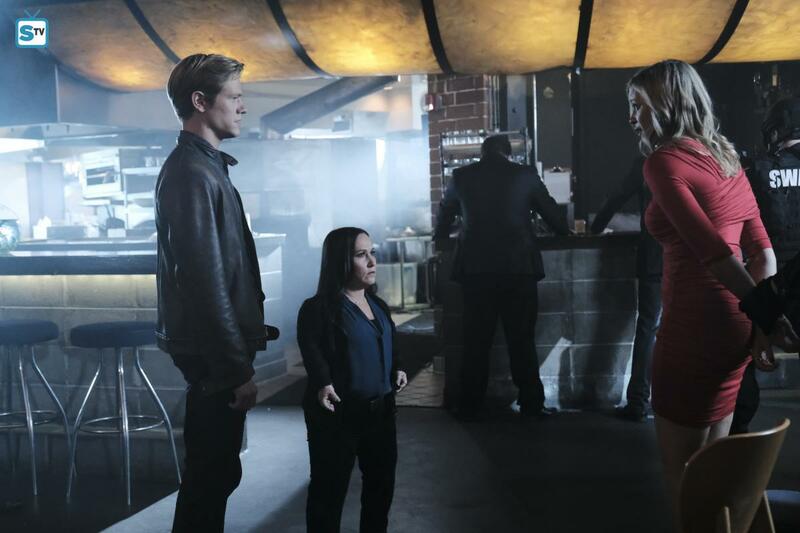 For this episode, Reign Edwards is back as Leanna and might be helping with an undercover mission. We don’t know much about the story yet, but it seems there are tuxes and dresses involved. And some running through the woods. On Wednesday, Mark Emery Moore uploaded a BtS video that suggests Mac and Leanna will pose as a married couple; probably newlyweds. We got some nice and interesting BtS pictures and videos during the last two weeks. Justin Hires uploaded many short-lived videos. He also posted a picture of Bozer and Riley in the lab, of him with Director Carlos Bernard (for Episode 2×10) or of Bozer and Leanna. He also serenaded the fans to get them to watch the newest episode. 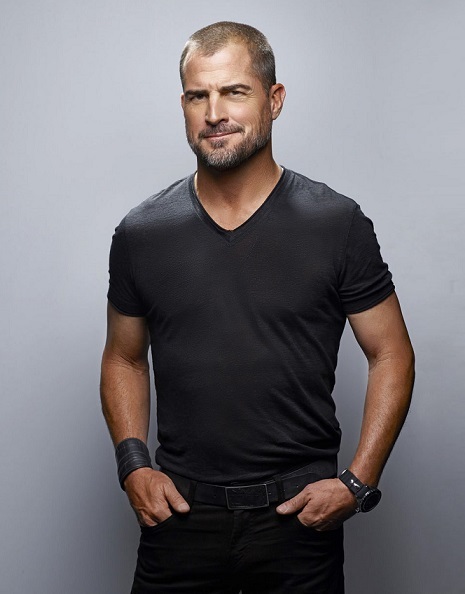 George Eads posed for us in his tux and showed us what Jack Dalton would probably label as a crappy situation. 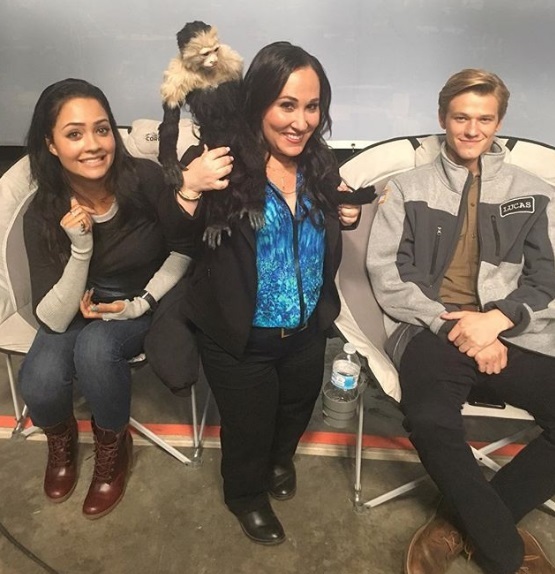 Meredith Eaton shared a nice picture of her posing with George on set. Tristin Mays revealed what song she and Reign Edward dance to when they’re bored. Executive Producer Peter Lenkov hasn’t posted much that’s MacGyver-related – he’s probably busy writing the Pilot Episode for the Magnum Reboot. He did visit the set on December 2011 and posted some BtS pictures and videos of Lucas and George filming in what looks like a rotating airplane toilet cabin. While editing for Episode 2×14, Lenkov uploaded some Instagram Live Stories; revealing that Jack might end up in a trunk for once (instead of putting Elwood into his own). The Extras posted some pictures, as well. Now that Bozer goes into the field regularly, it looks like he will end up a bit bloodied in the face more often. On December 18, we got the updated Press Release with several Stills for Episode 2×12 (Mac + Jack). Yesterday, we were treated with the Press Release and a first Still of Episode 2×13 (CO2 Sensor + Tree Branch), directed by Brad Turner. TV Line granted us a First Look Photo for Episode 2×14; featuring Garrett Morris posing with George, Lucas and Meredith. Since 2×11 was the Midseason Finale, we ended up with a little cliffhanger just before Christmas Break. Episode 2×12 will air on January 5, but you can catch Episodes 1×17 (Ruler) and 1×12 (Screwdriver) on Friday, December 29. After waiting, asking and more waiting, US fans finally got a date they can circle red in their calendars: The Season 1 DVD will be released on February, 27. There is no information yet about any Extras, but I guess the content will be the same as the versions sold in the UK or Australia. The cover is very much the same as the one for the UK version, though they added another tagline: New World. New Danger. New Mac. I’m still a bit puzzled why they didn’t release it before Christmas, but better late than never, I guess. Would have been a nice Christmas present for fans, though. As last year, CBS did some Christmas promo for its TV shows – this year with bobbleheads. For the Reboot, Mac and Jack got the bobblehead treatment, seen in Peter Lenkov’s Instagram post. The newest issue of TV Guide Magazine has an article with BtS pictures and soundbites of Lucas Till. As Lucas reveals when talking about Episode 2×12 (Mac + Jack), the flashback of Mac and Jack meeting each other will start with them throwing punches at each other. The Season 2 ratings are still pretty stable: On average, every episode pulled in 6.84 million live viewers per episode with a demo-rating of 0.84. Episode 2×10 (War Room + Ship) managed 7.21 million live viewers and a demo group (18-49) rating of 0.9, making it the episode with the second-highest audience. Ratings for Episode 2×11 (Bullet + Pen) dropped a bit; garnering 6.87 live viewers and a rating of 0.8. 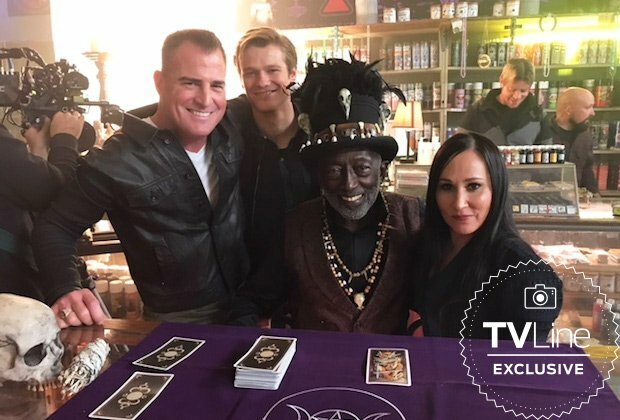 Upcoming guest-stars are Emerson Brooks as EOD-Specialist Charlie Robinson in Episode 2×12 (Mac + Jack), Ashley Tisdale as a CIA-Agent (in Episode 2×13) and Garrett Morris as the proprietor of “Willy’s House of Voodoo” (in Episode 2×14). Riley’s mother (played by Michael Michele) and father Elwood (Billy Baldwin) will also make another appearance. A look at the cast-list for Episode 2×18 on IMDb reveals that Javicia Leslie will be back as Jesse Colton. 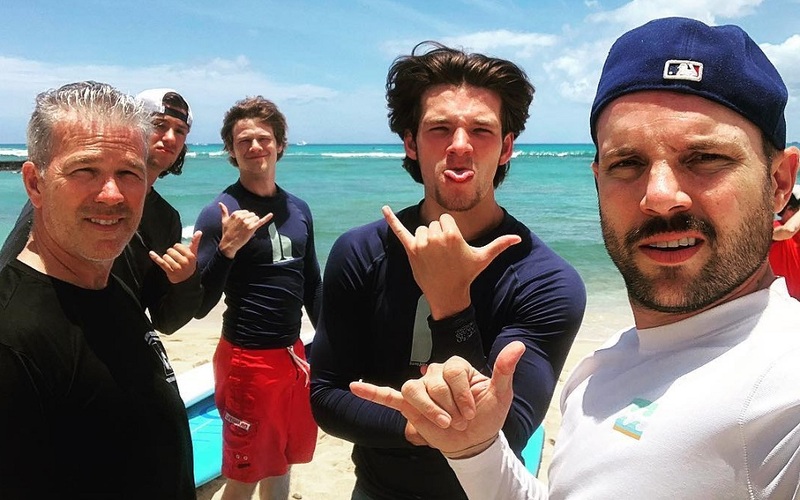 There’s no information yet if the other Coltons will be back as well, but if the Colton cast posts as much BtS pictures as they did in Season 1, we will know soon. 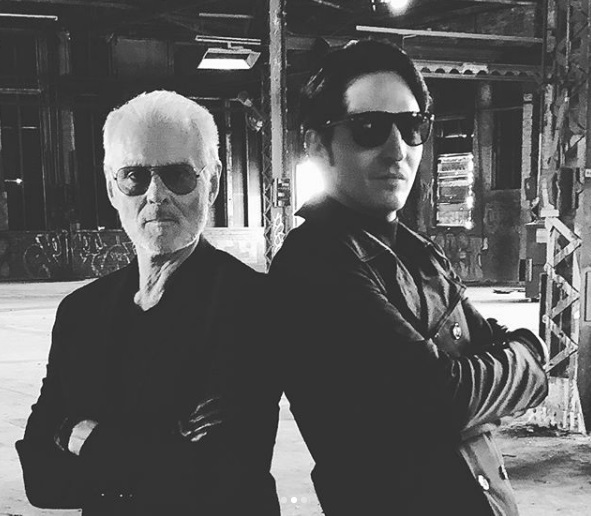 Additionally, there’s the (almost-confirmed) rumors that Original Murdoc Michael Des Barres will show up soon (presumably in Episode 2×15). Because David Dastmalchian and Brady Bond (as rebooted Murdoc’s son Cassian) have been on the set as well, we might get a little family-reunion. 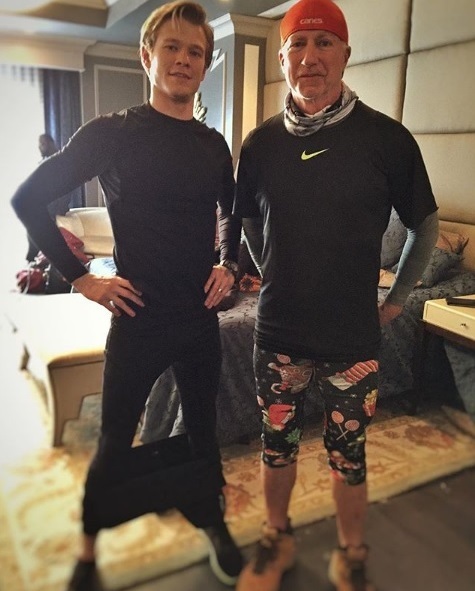 Michael Des Barres posted some pictures that might hint at him playing a hitman; e.g. of the gloves and the ring he used to wear as Murdoc or of him carrying a weapon meant to kill with on set. Isabel Lucas hasn’t been on set since she left. Her character is listed for Episodes 2×12 and 2×13, but I guess we won’t know about her fate until January. As always, it’s not just about guest-stars. Central Casting Georgia has been looking for Stand-Ins, Photo Doubles, Hand Doubles, Upscale Cars, Model-looking European types, Techs, EMTs, Security and Tactical Teams. Additionally, they needed European cars, Front Desk Clerks and Valet Men and Chateau Guests. There had been no episodes for two weeks due to the Winter Sports Events. ORF1 continued airing Season 1 on December 9. After the great ratings for Episodes 1×11 (Scissors, 80’000 live viewers) and 1×12 (Screwdriver, 109’000 live viewers), audience numbers dropped a bit: Episode 1×13 (Large Blade) managed 78’000 viewers, Episode 1×14 (Fish Scaler) only 60’000. On December 30, the Austrian channel will air the German-speaking premiere of Episode 1×16 (Hook).